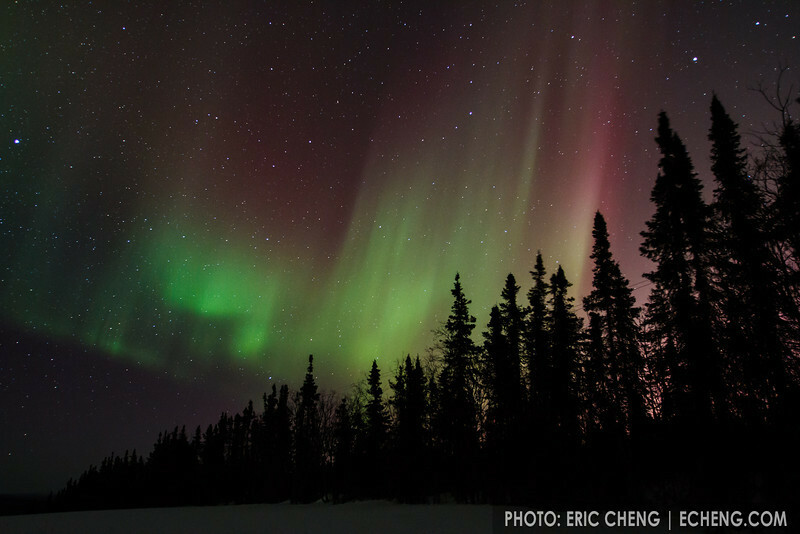 Northern lights (aurora borealis) just outside of Fairbanks, Alaska on the evening of March 22-23, 2012. Red is visible, which is rare. Canon 7D, EF 16-25mm f/2.8L USM lens @ 16mm, 15 sec at f/2.8, ISO 1600.